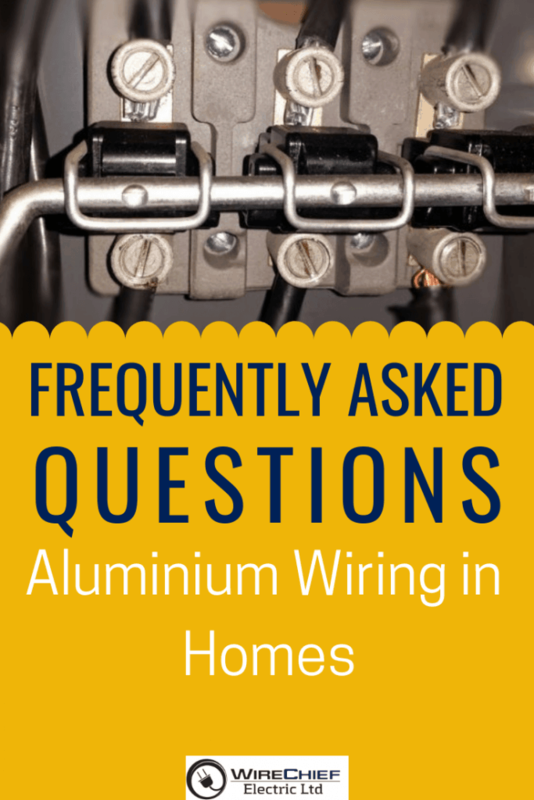 Are homes with aluminum wiring safe? This is a question that is often asked and that has some misinformation regarding its answer. Aluminum Wiring is mostly safe, although there are some special considerations to be made when dealing with aluminum wiring. For the most part, homeowners have no problems with aluminum wiring, but when incorrect receptacles or conductors are installed, the threat of a hazard is likely. 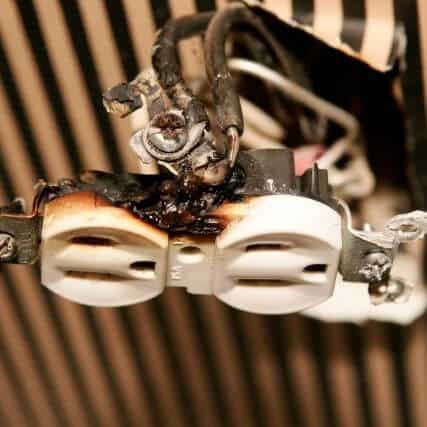 While a continuous run of AL Wire does not necessarily present a problem, when that wire is connected to outlets and light switches — and even to other wires in junction boxes — the connection can deteriorate and develop into a fire hazard. And with the number of connections that a typical home has, that’s a lot of potential fire hazards. When was aluminum wiring used in BC? In the 1960’s and 70’s, aluminum wiring was used as a cheaper alternative to copper wire. That fact might have gotten you wondering if it’s cheaper, why isn’t it still used? Aluminum has several properties that make it inferior to copper for wiring. Aluminum is a softer metal than copper, and besides being prone to damage during installation, it also expands more when heated. The expansion and contraction of the wire can lead to wire creeping out from its place under the screw holding it in place, causing loose wires and overheating. Another difference between aluminum and copper is oxidation. The layer that forms on copper conducts electricity easily, but aluminum oxide is a bad conductor of electricity, which can lead to overheating. You can tell if you have aluminum wire in your home by checking your electrical panel or looking at cables running through the basement or attic. The cables may be marked AL, ALUM or ALUMINUM, indicating aluminum wire. There are other ways of checking for aluminum wire, however, none are as safe as looking for labeling on the cable jacket, and we recommend having an electrician do an inspection in your home. What makes aluminum wiring dangerous? How does aluminum wiring cause fires? The symptoms of problems with aluminum wire include flickering lights and signs of overheating, such as burned insulation or oddly warm cover plates. This is how aluminum wiring can cause fires. It can overheat more easily than copper and start electrical fires by slowly damaging its insulation and heating things around it. The issues are caused by oxidation and other factors that lead to overheating where the wiring is connected at splices, outlets, and light fixtures. Aluminum wire might become dangerous because the issues that make it inferior all contribute to it wearing down. This is a considerable cause for concern because having been built in the 60’s and 70’s homes with aluminum wiring are already quite old and may be at risk. My house has Aluminum Wiring, What should I do? Special measures can be taken to make aluminum wiring safe, and some homes may already have these measures in place. The first step you should take in ensuring the safety of your home’s wiring is to have a licensed electrician perform an electrical inspection. Once you know the state of your wiring you can determine whether you need the implementation of safety measures or a complete rewiring. You might not need to have any aluminum repair work done at all. If the home is properly wired and does not show signs of fire risks or faulty wiring, you can rest easy knowing your home is safe. *Even if no signs of trouble exist, periodic inspection by an experienced electrician is recommended. If the aluminum wiring is in good condition and you are trying to delay the repairs for a while, have an electrician with experience in aluminum wiring repairs inspect some heavily used circuits, then go over the process once a year. Homeowners today are finding many insurers might not provide or renew insurance coverage on these houses unless the wiring is inspected, repaired, or replaced as needed, and a copy of the Certificate of Inspection is given to the insurer. You should check with your insurance company for their requirements. If repairs are necessary, remember that if you hire someone to do electrical work in your home, it must be a Licensed Electrical Contractor by law. It is recommended you hire someone experienced with aluminum wiring. This can be a lengthy process and should only be done by a trained electrician who knows how to work with AL and who uses proper materials and care to ensure that the aluminum is not damaged, causing hot spots and risk of fire. Some people might think that this work can be done by any DIY guy, however, the truth is, it’s not as easy as people think, even for trained professionals, and causing stress on the AL must be avoided. Strippers, pliers, and marrettes will all damage the aluminum conductors. In conclusion, aluminum wiring is safe* if proper connections and terminations are made, without damaging the wire, and any devices used are approved for use with aluminum wire. If you are in need of an electrician to repair aluminum wiring, contact us for a complimentary and honest advice. WARNING: unless you are specifically qualified to do so, do not open or disassemble or touch any electrical panels, devices, components if you are not trained and knowledgeable. There is a serious risk of fatal electric shock.